Photo: Children pause to give thanks for the provision they never take for granted. 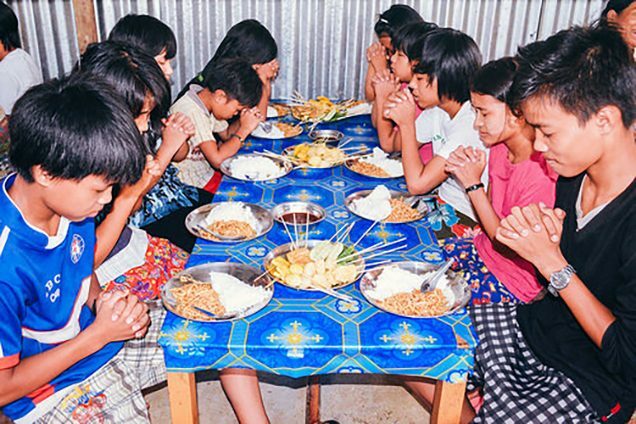 Thanks to support from our generous donors, along with profits from our farmland enterprise, our native team recently added a dining room extension onto one of our four orphan homes in Myanmar. The new dining space allows the children to have more room and eat at proper tables. This is a blessing to the children as they used to spread out on the floor of the home and eat wherever they could find space. Other improvements were also made to the kitchen: a new fan to keep our faithful cooks cool, a new wok, new pots and pans, and an additional stove. Overall 24 orphans have been adopted into this home where our Myanmar director and his wife faithfully raise them as their own children. They also have 2 support staff to help with cooking and caring for the children; one of the support staff was raised through the home herself. Older children in the home have their own responsibilities in helping care for the younger children, too. These improvements reflect our core principles to ensure a high quality of life for the children under our care. We want to rescue as many orphans as possible, but not at the expense of adversely affecting the health of those we have already rescued. Thus our desire is to make sure that the orphans currently under our care have quality of life basics in place: a comfortable bed, access to a quality education, three fresh meals a day, hygiene supplies and facilities to keep clean, and a supportive and caring environment wherein they are truly accepted as a member of the family. 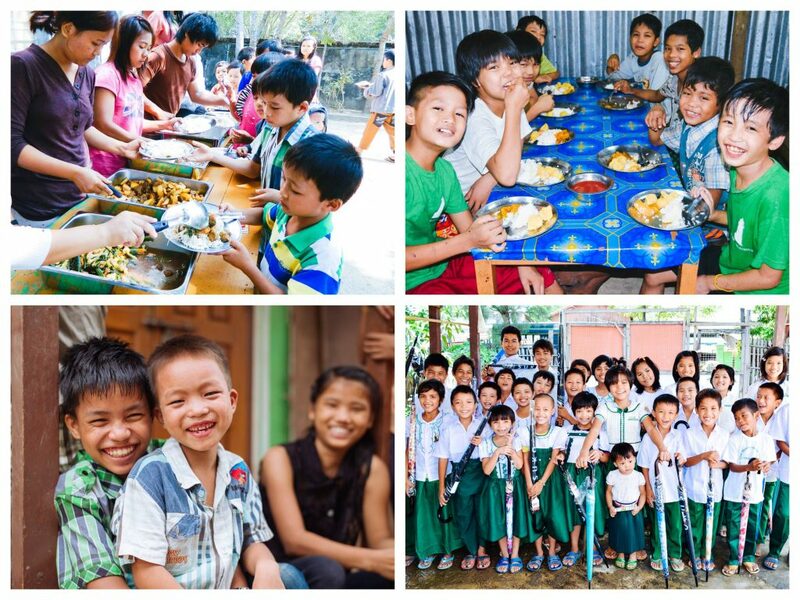 Our farmland enterprise produces several tons of rice each year, and along with our piggery project, our native team in Myanmar is able to serve over 300 meals each day to orphans and staff in four different homes in the country. The farmland not only provides fresh staple ingredients for their meals, but also produces a lucrative profit to create important funding for things like school supplies for the children. We go beyond rescue to rehabilitation and restoration, through education and proper equipping, and through providing the orphans with loving, nurturing home environments. One can only imagine the exponential impact these children will make in the world as they eventually graduate and go on to lead successful, productive lives. Our aim is to send them into the world ready to impact society — to spread the same principles of God’s love that our native teams are pouring into them.